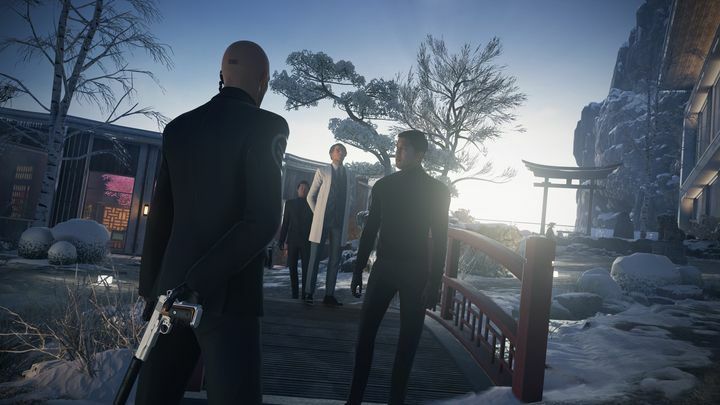 Hitman fans likely enjoyed IO Interactive’s offering last year, as their Hitman reboot game not only was amongst 2016’s best, but also is one of the top stealth and action video games released in years. And the Copenhagen-based studio IO Interactive has continued to add content to their latest Hitman game on a regular basis, with the game’s Elusive Targets being one of the most noteworthy features of this latest Hitman outing. These assassination targets will only appear in the game for a limited period of time, and if you fail the mission, there won’t be any second chances, meaning patience and careful planning are key in order to emerge victorious in these missions. The game’s penultimate Elusive Target, known as “The Fugitive” is now live in the game, and will be roaming about Hitman’s episode 6 Hokkaido map. Little is known of this chap aside from the fact that he has arrived at the Gama hospital for facial reconstruction surgery, as the briefing video below explains. There’s also an extra complication here: you don’t know who you are after in this mission and must discover this information on the field. And should you choose to restart, the target could be a different person the next time around, meaning this will likely be one of the most challenging Elusive Target missions to date. 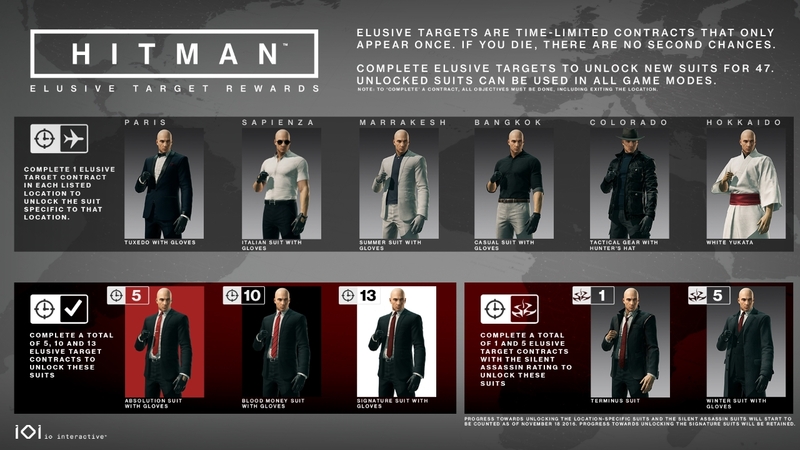 But still, this shouldn’t be anything veterans of IO Interactive’s latest Hitman game won’t be able to handle, plus this is also another opportunity for you to unlock new clothing and gear for protagonist Agent 47, as seen in the image below. Also, this is the game’s penultimate Elusive Target, with the final one (coming later this summer) putting an end to Hitman’s first episodic season. This is also the first piece of content for Hitman IO Interactive has released after it parted ways with Japanese publisher Square Enix and became an independent studio. So this means we don’t know when future seasons of Hitman (IO had previously announced two additional seasons of Hitman were in the works) will be released, or whether the company will be sticking to the episodic model in the future. But hopefully the Danish studio will be back on track soon, and come up with another great Hitman game in the not so distant future. Note: Elusive Target 25 “The Fugitive” will be available in the game until July 3, 2017.